Mote.io is an app that turns your phone into a remote control for websites. I’ve been working on the project for a little over a year and just released an app update today. Thanks for being a part of the Mote.io beta! Mote.io is an app that turns your phone into a remote control for websites. You’re on this list because you signed up for the Mote.io beta, thanks! 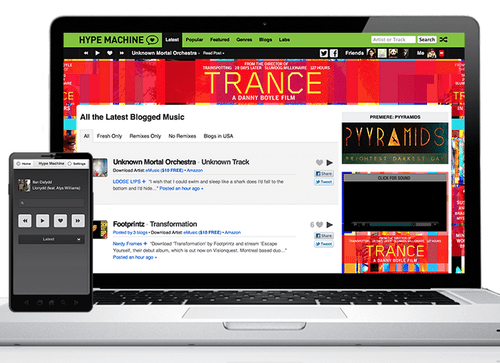 Now with support for Hype Machine, Vimeo, Pandora, and Rdio, with more to come! Control your favorite media sites with new remotes from Mote.io. More sites coming soon, including Grooveshark, Soundcloud, reddit, and more! Now more secure, all traffic encrypted over SSL. Mote.io is now https only. Not only does it makes Mote.io more secure, but it also allows Mote.io to support https sites like Vimeo and more without breaking the internet. Now Mote.io detects things like network drop and we’ve made changes to better resolve connection issues. Hurray! The app, extension, and website have all been updated thanks to all of your great feedback. Keep it coming! Just reply to this email or tweet at me (http://twitter.com/sw1tch). Submit feedback and talk about Mote.io using the new community page. Thanks for being a beta tester! Want to get lunch? Seriously, thank you. The beta testers have provided me with tons of feedback, suggestions, and spelling errors. What sites do you want Mote.io to support? Do you plug your computer into a TV? A stereo? Want to build a game with Mote.io? You can reply to this email or tweet at me for any reason. Want to get lunch or a cup of coffee? I’m in NYC, give me a shout. More to come, including an iPhone app!